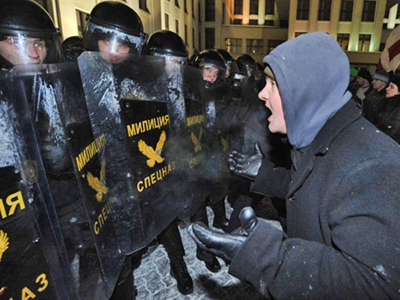 Two Russian citizens arrested in Belarus have been officially charged with participating in mass disorder in Minsk following the December 19 presidential election. The charges against the two Russians were brought under Article 293 – Mass Disorder – of the Belarusian Penal Code, which means if found guilty they face up to 15 years behind bars, reports RIA Novosti. On Tuesday the men were transferred to an investigative isolation block and the day before that the Russian Consul in Belarus visited them. Both Russians have lawyers to protect their interests. A series of opposition protests took place in the wake of the Belarusian presidential election at the end of December, which brought a landslide victory to the country’s incumbent president Aleksandr Lukashenko, securing him a fourth term in office. The opposition claimed the election results were falsified. 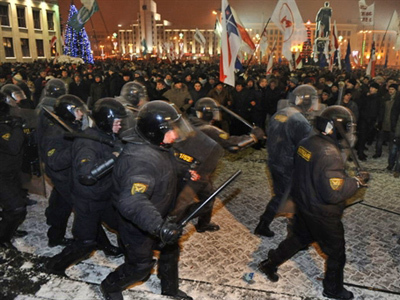 Hundreds of people were detained in the rallies, including opposition leaders. Twelve Russian nationals were among those detained. One of them was fined, while the rest were sentenced to 10 to 15 days in prison for breaking the law concerning the organization of a mass rally. However, most of those detained were released early. Two of those released were arrested once again on Tuesday, this time on suspicion of being involved in mass disturbances. 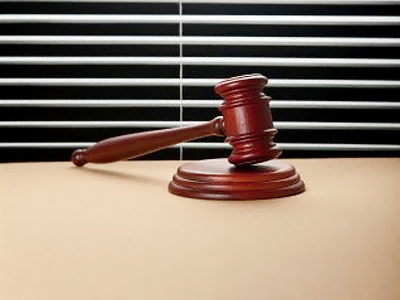 In total over 20 people, including presidential candidates Vladimir Neklyaev, Andrey Sannikov, Nikolay Statkevich and Ales Mikhalevich, are behind bars in connection with the case. If found guilty they face from 3 to 15 years in jail. ­The European Union has been critical of the post-election situation in Belarus. The EU may once again close its doors to President Aleksandr Lukashenko and officials in charge of the protestors’ arrests, Swedish Foreign Minister Carl Bildt has stated. 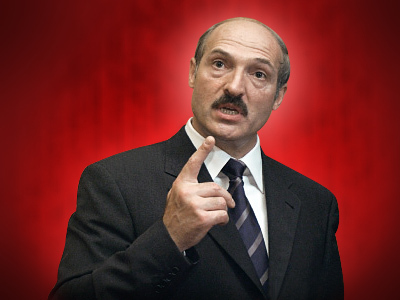 After the 2006 election, the EU imposed economic sanctions on Belarus and introduced visa restrictions for president Lukashenko and 40 government officials. Later, some of the sanctions and restrictions on 36 officials were removed following the release of high-level political prisoners. But it is now time to reconsider the decision, believes Carl Bildt. “We have to follow the logic of our previous policies. Last time, when we no longer had political prisoners, we took positive steps. Now we have many more prisoners and those who took part in the actions which took place and those who collaborated with them will inevitably come back on the list,” Bildt said on Monday.